My web site is set launch the end of the week. I love that word, launch! 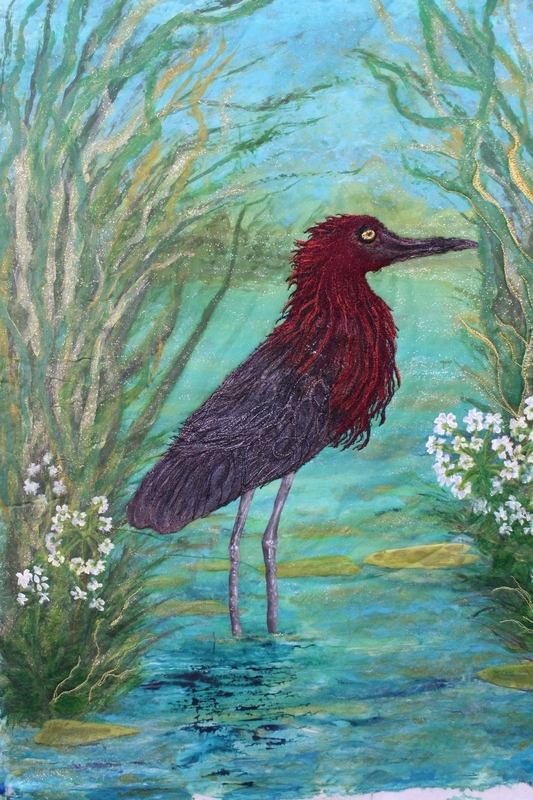 “Red Egret” An art quilt depicting a red egret at the water’s edge. make lots and lots of quilts. That is easier said than done. Here’s a few, in various stages of work. I hope to be finished soon. 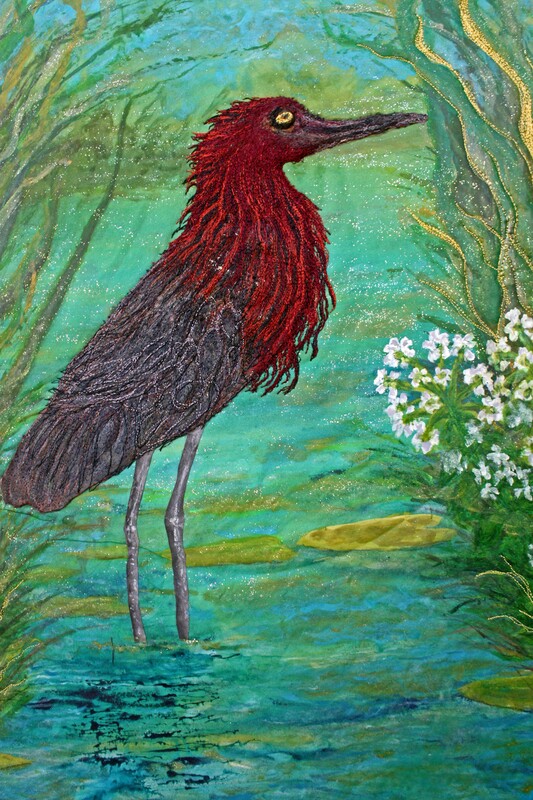 The first one closest to completion a silk painted red egret. 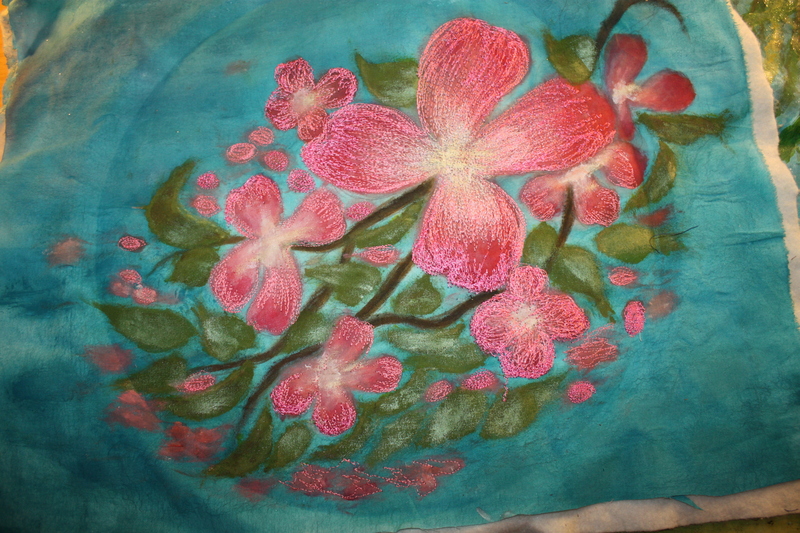 The colors in this silk are just wonderful. Wish I took time to write down my color formulas but no, it’s always a little bit of this and a bit of that, maybe a bit more of this ,,,you can follow my drift. 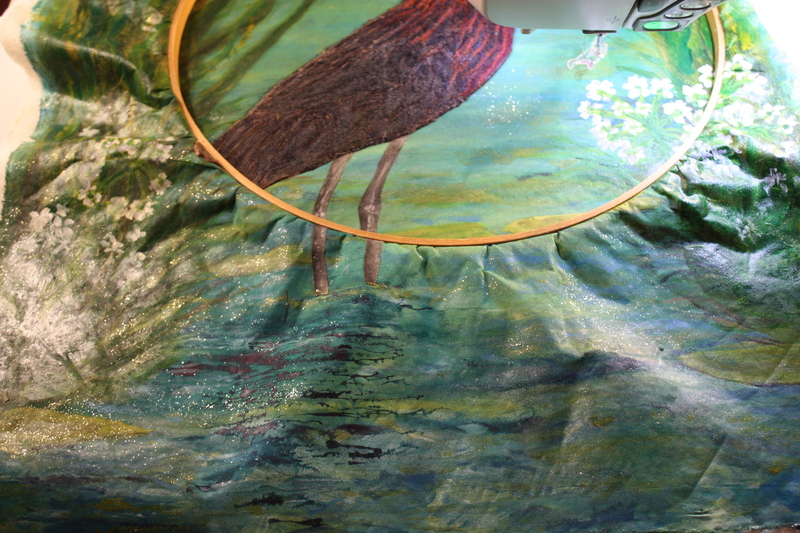 More silk painting was used to create my egret, add the details, feathers and so forth. An experimental one. 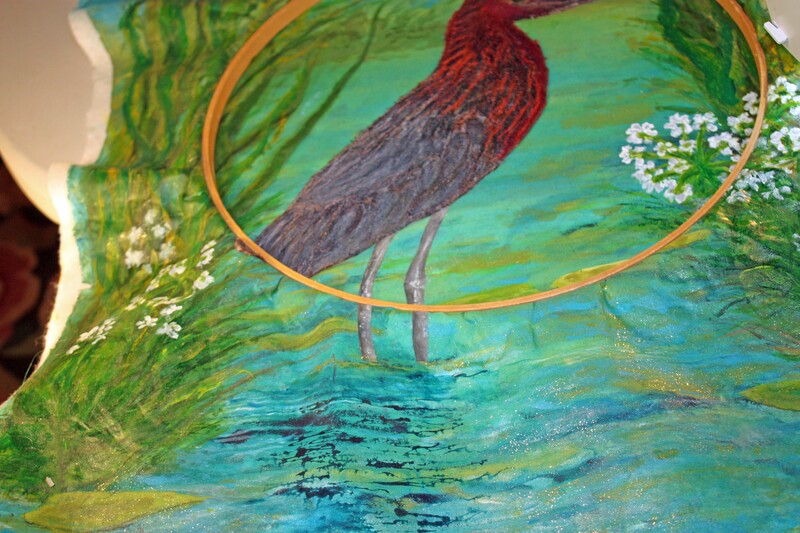 It’s commission and is sounding fun.A Stained glass window. I’ve been experimenting with different mediums to produce the look of old glass with a hint of light behind. I have designed what I’ll use and found a technique that will replicate the look. That.s the quilts so far, I’m off,have been siting too long.Ha! 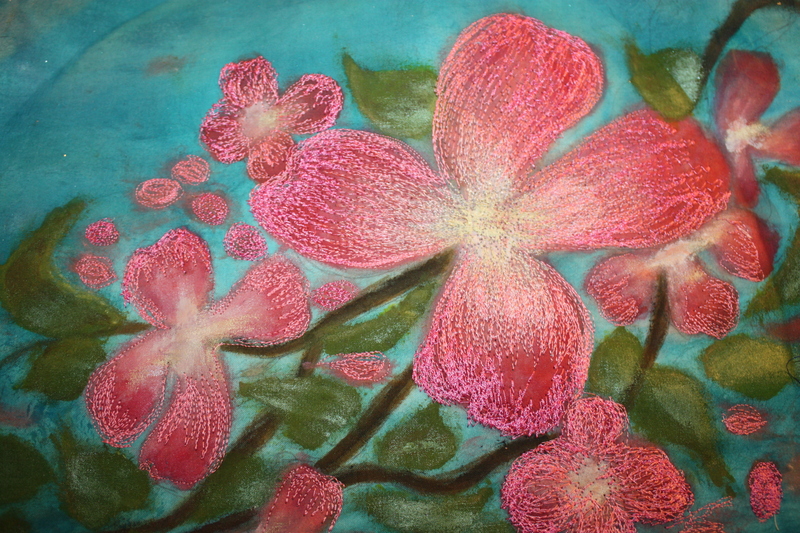 Categories: Blog posts, In Progress, New quilts, Older Posts-, Silk Paintings, Stylized Floral Gallery, The internet, Tutorials, Uncategorized, Uncategorized.